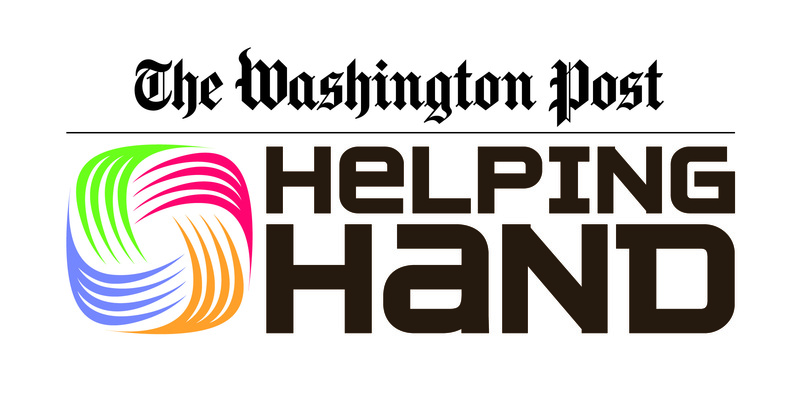 The Washington Post Helping Hand announced it has successfully raised over $250,000 in the 2018-2019 season bringing the total funds raised to $1.14 million since the charitable giving initiative began in 2014. Family development center for homeless infants, toddlers and preschoolers and their families. Empowers homeless and low-income women in D.C. through services, housing and advocacy. Alleviates homelessness and poverty for D.C. residents and families through housing, training and more. The Washington Post Helping Hand seeks to facilitate significant financial donations directly to human service nonprofit organizations in the Washington, D.C. metro area through high-impact, in-depth narratives about those in need and the programs that assist them. Bright Beginnings, N Street Village and So Others Might Eat will be featured in “John Kelly’s Washington” each winter. Three local charities will split more than $250,000. Plus: More snow business. ‘Being homeless is like a shock to the system.’ N Street Village soothes the pain. Three stories of homelessness. Three happy endings. Helping Hand wants to aid in creating more of those endings. The So Others Might Eat Conway Center brings many services under one handsome roof. “Early intervention is the key,” said the education director at the D.C. preschool. By participating in enriching activities, homeless women can take important first steps. The homeless find a haven between meals at The Post Helping Hand partner. Our Helping Hand charity partners work every day to help those in need. You can help, too. Bright Beginnings preschool helps a struggling District father juggle work and home life. A District woman addicted to heroin finds help at So Others Might Eat. The new program harnesses the power of the group for women who want to stay clean. The preschool’s new building is as nice as any in the city. And that was the whole idea. Poor and homeless clients can get donated garments at the D.C. charity’s clothing room. ‘Being homeless is like being in quicksand.’ N Street Village is a lifeline. When Paula lost her home and her car, she turned to the Helping Hand charity. Living on the streets takes its toll. A clinic on O Street NW tries to help. “The patients are unbelievably resilient,” says the medical director who treats their ailments at the charity So Others Might Eat . A unique preschool helped this once-homeless mom. Now she teaches there. Bright Beginnings is a stable space for children when everything around them is chaotic. Women without homes can shop at the Helping Hand charity’s annual coat drive. Moms are often the focus of charitable outreach. This Helping Hand partner branches out. Along with housing, the Washington charity offers classes to buoy clients’ spirits. For three years starting winter of 2014, Helping Hand and The Post’s John Kelly will bring attention to three nonprofits supporting those suffering from hunger, homelessness and poverty in the Washington, D.C. metro area. Later this summer, The Washington Post will launch a new giving initiative called The Washington Post Helping Hand. Reading Partners pairs below-grade-level readers in D.C. schools with tutors twice a week. Ninety-nine percent of graduates from Capital Partners for Education finish school and enroll in college. Everybody Wins! DC works with 4,500 elementary school students at 37 low-income schools in D.C.
A longtime high school mentoring program turns to eighth grade to help get more students to the stage. Horton’s Kids, founded in 1989 by a former Capitol Hill staffer, recently received a $30,000 grant. Organizations are focused on improving education for Washington, D.C.-area’s underserved youth. The grant recipients include Beacon House Community Ministry, Educacion Para Nuestro Futuro, Everybody Wins! D.C., The George B. Thomas, Sr. Learning Academy, Inc., Higher Achievement D.C. Metro and Reading Partners. The Washington Post and the McCormick Foundation awarded the first set of grants through The Washington Post Charities to four local nonprofits that focus on increasing educational opportunities for at-risk youth in the region.